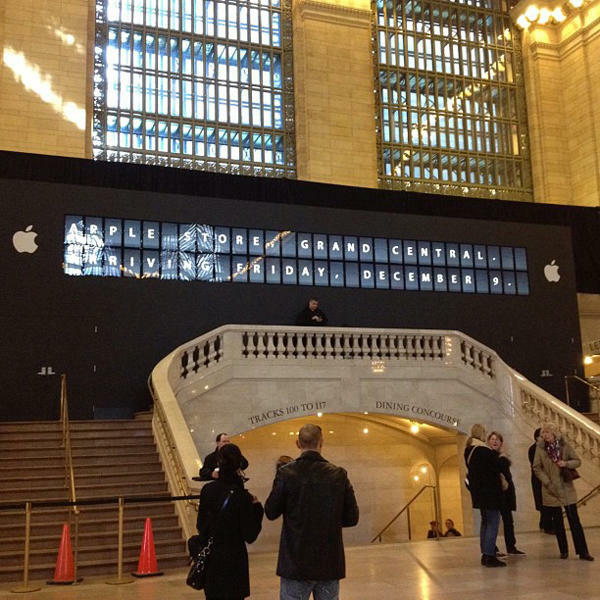 Judging by the ticker that has graced Grand Central Station, it seems Apple‘s latest New York City retail outpost will be launching there next week. When it opens its doors on December 9, the location — Apple’s fifth in NYC — will reportedly also be the company’s largest brick-and-mortar shopping destination among its stable of stores. Although it didn’t make its previously anticipated launch window (i.e., the Black Friday timeframe), at least let’s hope that it will be as gorgeous as the preview images suggest. 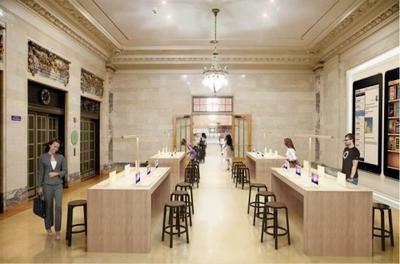 So how much is Apple coughing up to rent this retail space in Grand Central Station? Figures are pegged at a cool $1 million+, which buys the Cupertino company exposure to the 750,000 potential customers who hit the terminal every day. That might seem like a gargantuan amount, but it might actually be a discount. If Apple’s paying $60 per square foot, then I’m sure the other retailers paying $200 aren’t too thrilled. Then again, they could get to benefit from a higher than normal volume of foot traffic, thanks to the tech company. This, says the New York Post, is why Apple is also able to bypass revenue sharing with the MTA (Metropolitan Transportation Authority), which runs the terminal. That may sound like a great trade, but the state doesn’t seem to think so. It’s investigating the matter, to see if the MTA is playing favorites.